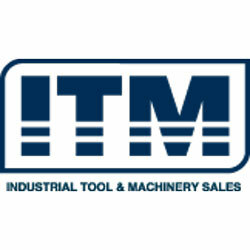 Industrial Tool and Machinery Sales (ITM) is an industry leading wholesaler and importer of high-quality tools, engineering machinery and equipment. With over 25 years’ experience supplying equipment to industries across the country, you can trust our products to meet and exceed the high expectations of the manufacturing and construction industry. As an Australian owned and operated company, we take pride in providing the very best products and brands that our customers can rely on and trust at an affordable price. We also hold extensive technical knowledge about every product we supply, providing you with excellent after sales service and support whenever you need it. Our head office and warehouse operates out of Yatala in Queensland, conveniently located between Brisbane and the Gold Coast, and we also have representation and stock holdings across the country to ensure we can supply a full range of equipment quickly to our customers – where ever they are located.